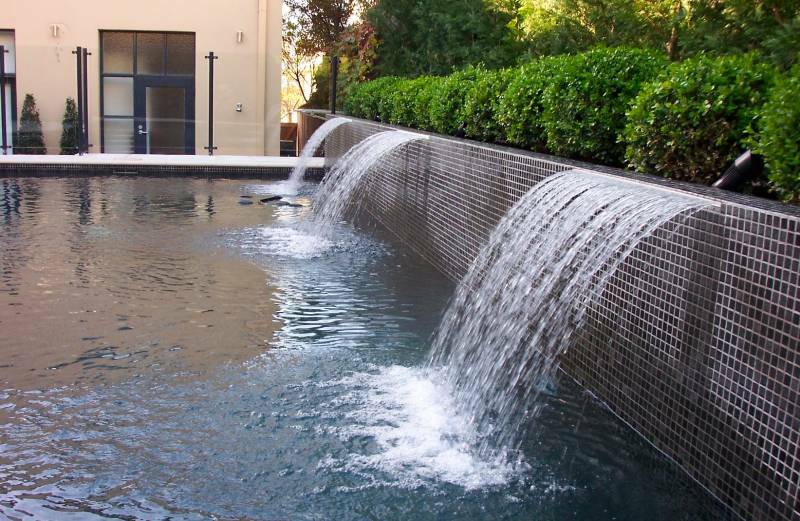 When selecting mosaics for pools, it is important that they meet Australian Standards and are guaranteed for full water submersion. 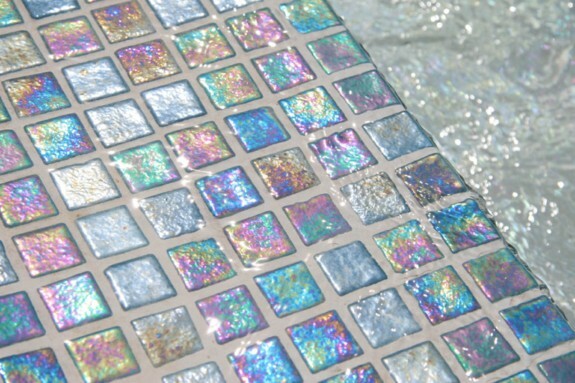 Most mesh back mosaics on the market do not. The Ezarri Glass Mosaics come with a unique silicone dot joining system as shown above. This ensures maximum contact between the adhesive and glass base. Make sure you purchase Ezarri certified products...as imitations do not all meet the Australian Standards. The series comes in numerous colors, blends, murals, finishes and textures. Sample Boards are on display in our Leichhardt showroom.